Xingping has limited hotel choice compared to Yangshuo, and so to help you choose we have selected what we think are the best places in each price level, and places that we have tried and tested personally. We have also included TripAdvisor links to each hotel as well as specific tips on room selection and our concise summary. Where to Stay in Xingping? We have classed these ourself as either a Boutique Hotel, Guest House / Hostel (meaning it has some facilities or services) or a B&B which is like the guest house but with no services or lounge area. We take no payment for linking or recommending these hotels. We conduct our own research trips to fact find, acting as tourists. When we check the hotels we give no prior warning, most pictures are taken by us. 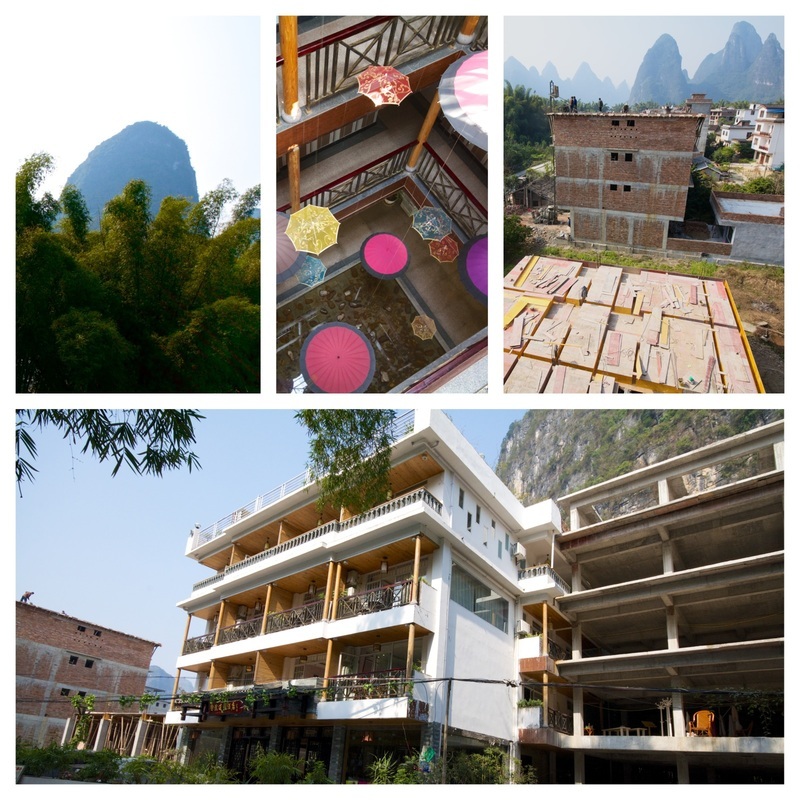 The most modern clean hotel in Xingping (Dec 2013), offering three star quality rooms. It is mainly aimed to the Chinese market. 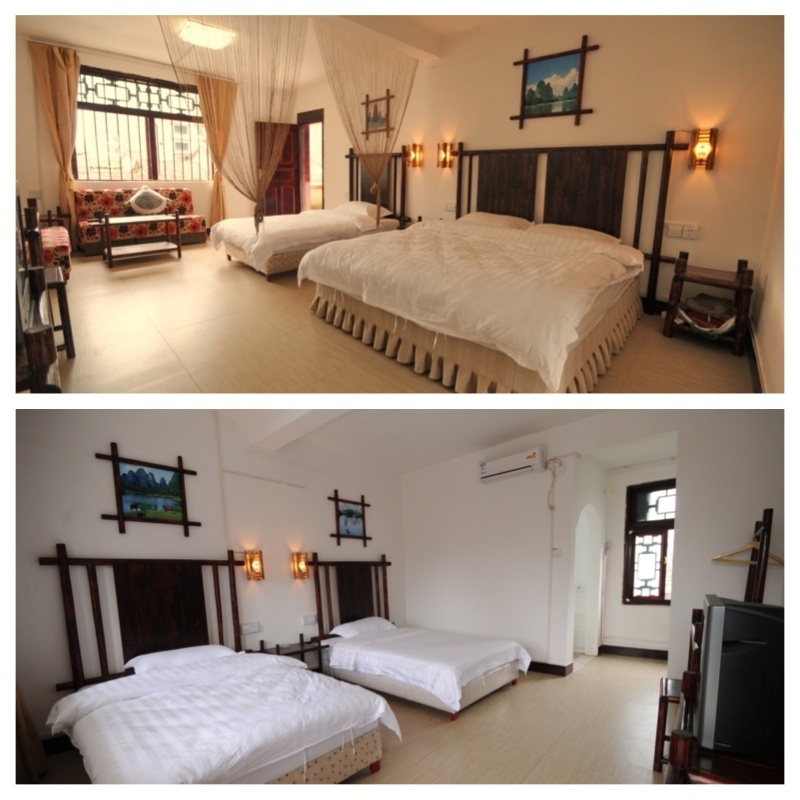 The rooms are fairly big and the beds are softer (although still firm) compared to other options in Xingping. The public space decor is fairly sparse and the style overall a little kitsch. Typical of China, there are rough edges and areas you feel aren't quite finished, despite it having been open a year. If those issues were fixed, there was a more comfortable cafe area and the decorative umbrellas were changed for traditional painted silk, we feel it would earn the name 'boutique'. Take note CTN Hotel from our scandinavian interior designer, Mia ;). There is no western breakfast, but a ride down to Kelly's in the Xingping's ancient street offers options such as fresh coffee and a full American breakfast with juice and fruit. Rooms: We inspected and photographed a couple of the larger and better rooms. The front rooms have a balcony and a mountain view and cost a little more. 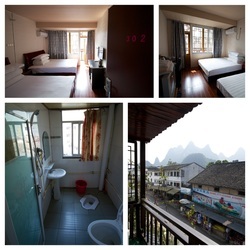 The walk in price for the front balcony room 6305 was in the region of 500 RMB, approx. $90. The back room with no balcony room 6407 has a nice bath and only cost 380 RMB, approx $65. There were other smaller rooms with twin beds with balconies also. 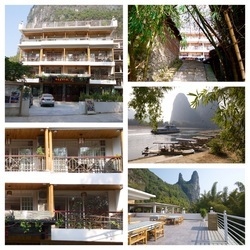 On bank of Li River with a small new village road running in front of the hotel. To get to the hotel you turn left when arriving to the rafting pier and walk about 10 minutes. The road is good and there is parking outside and loading the car. Even in rain there is no trouble to access this hotel, unlike if you stay in Dahebei island, which can be muddy and damp in heavy rain. 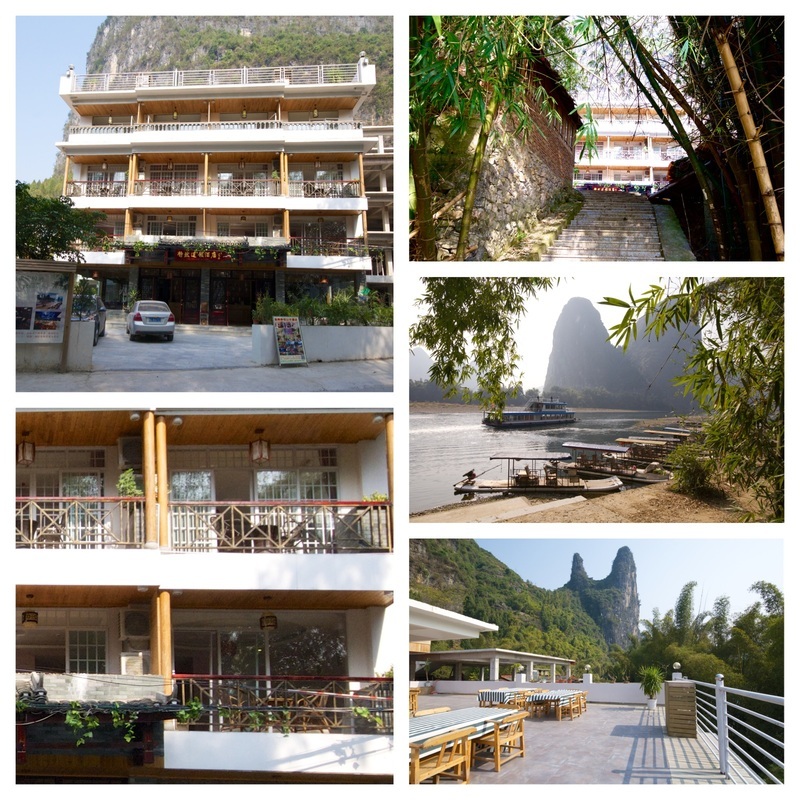 This hotel is very close to the river bank, the bamboo style rafts stop just down the steps from the hotel (in the second picture), this makes it convenient to set off early in the morning. It also means there is an opportunity for landscape shot you can take in your free time. The location means its easy to just walk around and follow the river back, it is hard to get lost. Cons: There is building work done everywhere in China, and to find a hotel that is not having, about to, or has a building site next door is very hard in this area. I am assured they are not allowed to continue in the evening; I believe them. This is not a problem really as we are only here in the evenings. The other slight snag is the view of the river is blocked by bamboo, but its still pretty, and the view from the roof terraces to each site shows dramatic mountains in the distance. Summary: The cleanest, most modern option in Xingping which has some minor issues but since most customers only stay one or two nights and we are out most of the time, it is a very good option. How to Book: Try Agoda or we can assist. 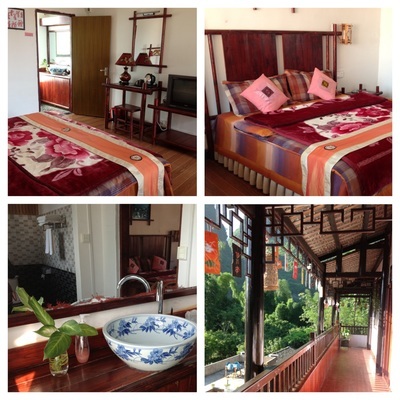 It is a family guest house with a courtyard garden especially suitable for outdoor/active travelers. It is great value, and at this price they will attract the Chinese and Western market. We recommend this to those of you who value an English speaking friendly host and quiet surroundings more than a modern room with more convenient access. They are very service focused, offer a western breakfast and have a nice selection of fresh country dishes on the menu. The ground floor entrance room has a video projector, Chinese tea table, and a dining area. The rooms have WiFi, a TV, and air con. We noticed Chinese photographers relaxing in the courtyard garden and lounge area when we visited at 2pm. It had a real 'home feeling' and Mia and I liked it. Location: We like the village and pernicular as it's ideal to roam around and we captured photos of people mending fishing nets, local children and mud brick houses. There was also a Chinese wedding photographer shooting a couple on the river bank. It's a typical Chinese country village where the ugly modern white 4 story concrete buildings collide with mud brick buildings among vegetable fields and fruit trees. 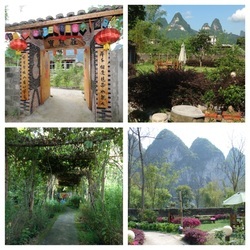 It will give you an authentic and typical impression of life in China's village areas. Cons: The location means you need to take a small 2 RMB ferry boat from Xingping pier to the penicular, which is not a problem. This can be an advantage to some but a downside to others. During the rainy season it can be very damp and muddy. They have a way to transfer people and luggage in a motorized vehicle/contraption, we really don't know how to describe it. If you do not stay in the Inn but are interested in photography here, we could wander around this area during the mid-day light when the landscape photography is not at its best. We have stayed here many times and the old gentleman that runs this place has become our friend, he is well known by the local photographic community. The simple wooden style entrance dining room is wall to wall full of photographs of the local area, and we have stayed here many times with the local photographers, and when we need a place to crash. This is in a convent location and ideal for a budget or DIY traveller, perhaps if you're hiring us guide only it would a good choice. The rooms have WiFi, a flat screen TV, and air con. They are clean but the beds are typical Chinese style, very firm. When we say firm, it means to a westerner like sleeping on a wood plank. The doors are good quality and have security keycard entry, so it feels safe. There is no lounge area or western breakfast but this is located a short walk from Kelly's Cafe, which is the best place for Western breakfast in Xingping. 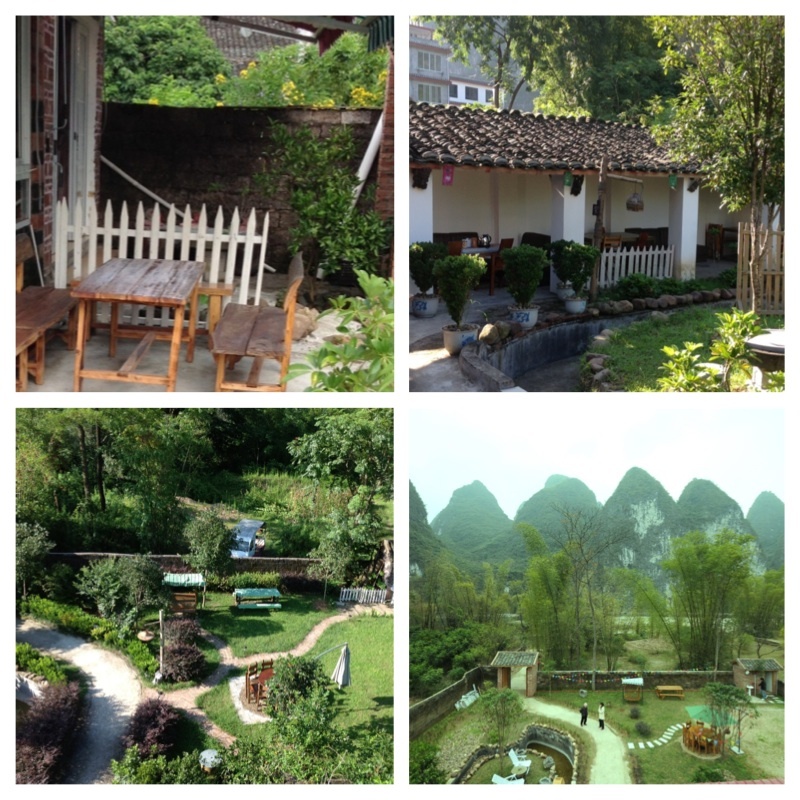 The same menu and cafe as the one featured in the LP in Yangshuo. Location: In the Xingping main street, just up from the pier and opposite Laozhai shan, a challenging sunrise or sunset hike. The owner is well known in the photographic community and if you wish to book an evening meal there the food is good. Cons: The showers are good and hot but need to be held in your hand as the fixtures are not good, typical in China. The water drains down the Chinese style squat/floor toilet, but there is also a western toilet. No western breakfast or snacks on offer, no lounge or food provided unless a big group orders or it is pre-arranged. 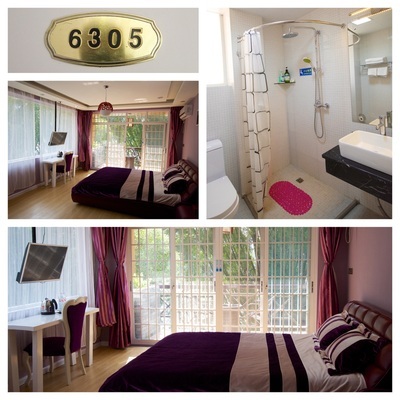 The bathroom fixtures and fittings are loose, which is typical in most motel/ hostel style places in China. How to Book: The owner has no website and speaks no English, but we are happy to help any of our customers to call and book a room. You can pay him cash on arrival.